It’s amazing how much this annual recap changes from year-to-year. Whether the shift represents an evolving style as a photographer, or just the randomness of trying find time to shoot in the spare minutes between life, parenthood and full time work, it’s always interesting to see the different themes that catch my eye from year-to-year. More than anything, this year’s collection is different simply due to geography. The 2017 collection was filled with globetrotting photos from London, Paris, Cape Town, the Grand Canyon and Zion National Park. This year, I barely left the five boroughs. But I made the most of New York - and especially its weather. Lots of dramatic fog, snow and sunset shots made the list this year. I also had a thing for long exposure landscapes and timeless black and white photos. Without further ado, here are the 20 (ish) best photos of 2018. 2018 began with a boom, er, bomb. 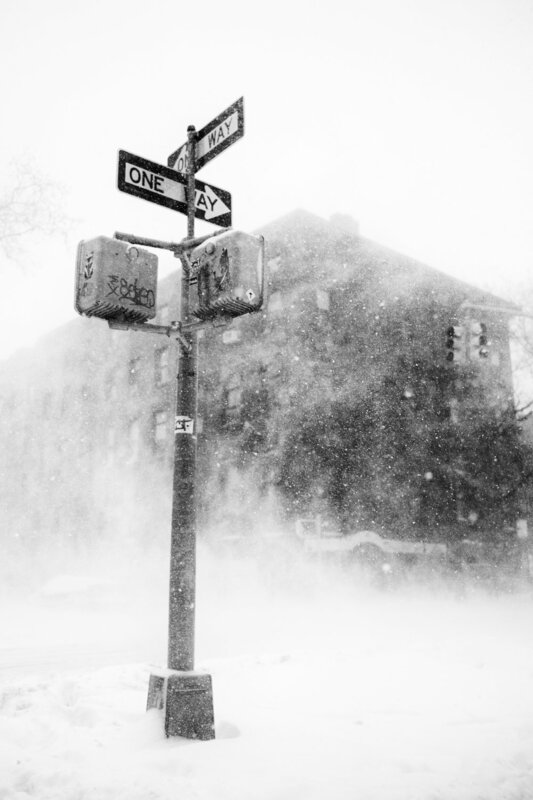 On January 4, a winter storm called a “bomb cyclone” (aka “bombogenesis”, aka “winter hurricane”) hit New York and made for some apocalyptic snowstorm photos. Tip your seamless delivery guys, people. In spite of the bomb cyclone, the mail was in fact delivered. Respect. I see this view of the exit from the Carroll Street subway station just about every day. It’s totally unremarkable. But add some giant fluffy snowflakes and suddenly it’s a scene from a movie. I caught some good shots of the handball players making contact with the ball too. But I much prefer the tension, anticipation and gesture in this moment-just-before-the-moment. “Williamsburg Bridge sunset” February 26, 2018. East River State Park. Williamsburg Brooklyn. A two minute long exposure turned the East River into an ethereal fog in this sunset shot from the Williamsburg waterfront. The wiggly light trails on the right side of the frame were created by the ferry pulling away from the dock. 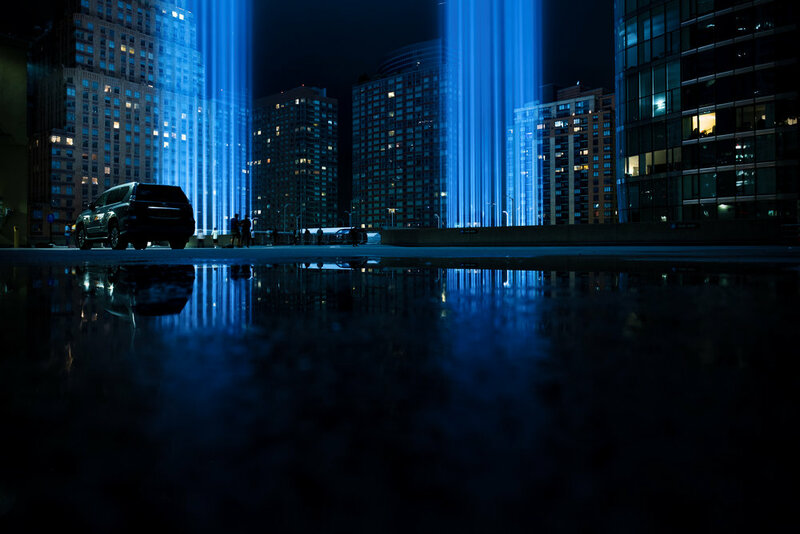 This is the eighth year I’ve documented the September 11th Tribute in Light. This year, I tried to get the classic postcard angle from Rockefeller Center. But the fog was so thick, you could barely see lower Manhattan, let alone any lights. Fortunately, the clouds cleared for a moment, just long enough to get this one shot before the lights disappeared back into the fog. With thick fog obstructing the Tribute in Light, I realized I had to get as close as possible to photograph the display. This shot was taken from the pedestrian footbridge that crosses the entrance to the Hugh L. Carey Tunnel. I set a ten second long exposure and waited for cars to create the light streaks in the foreground. This reflection was made in a puddle on the roof of the parking garage where they stage the lights. I love how timeless this snowy image of the NY Stock Exchange feels. I waited for a loooooong time to get someone with an umbrella to cross in just the right spot to cast that shadow in that little pool of light on the cobblestone. When this woman finally hit the mark, I could’ve hugged her. (I didn’t do that either). Sometimes your camera auto-focuses on the wrong thing and you get really annoyed. 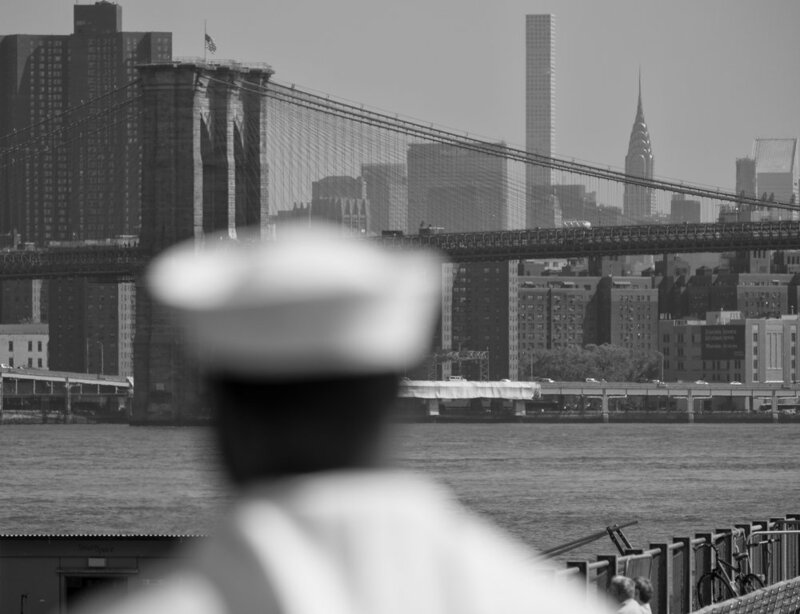 Here I was trying to focus on the naval officer and make the city go soft in the background. So I refocused and took that shot next. In this case, my camera was the better photographer. 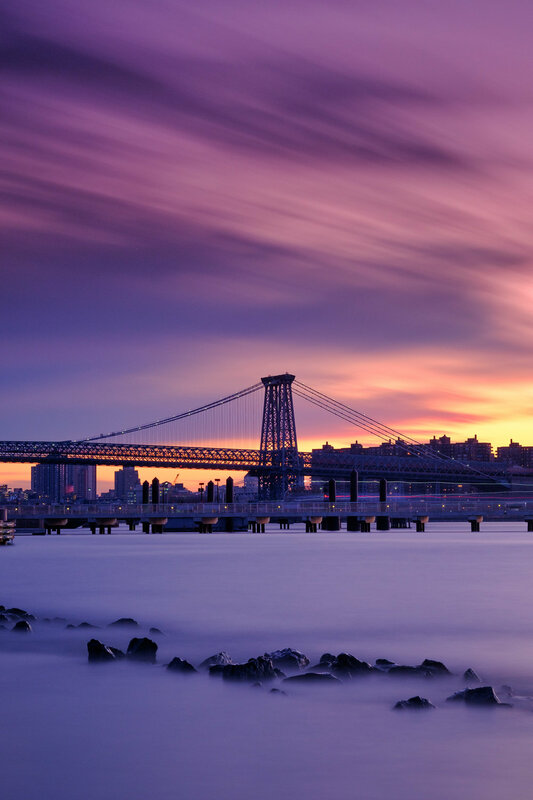 This shot is from the same sunset as the Williamsburg bridge shot above. 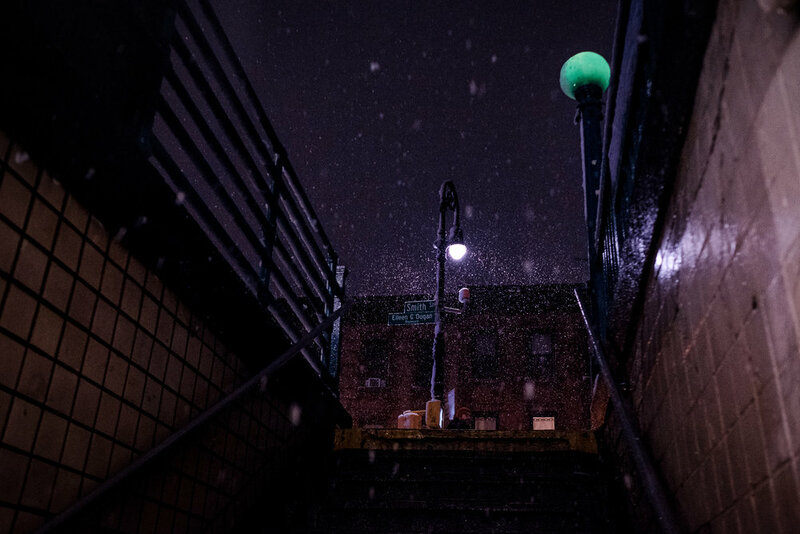 The next three shots happened within a few minutes of each other during a walk home over the Manhattan Bridge. This one is taken from the pedestrian walkway looking down Prospect Street, in front of Etsy HQ. Another shot from the Manhattan Bridge pedestrian walkway. 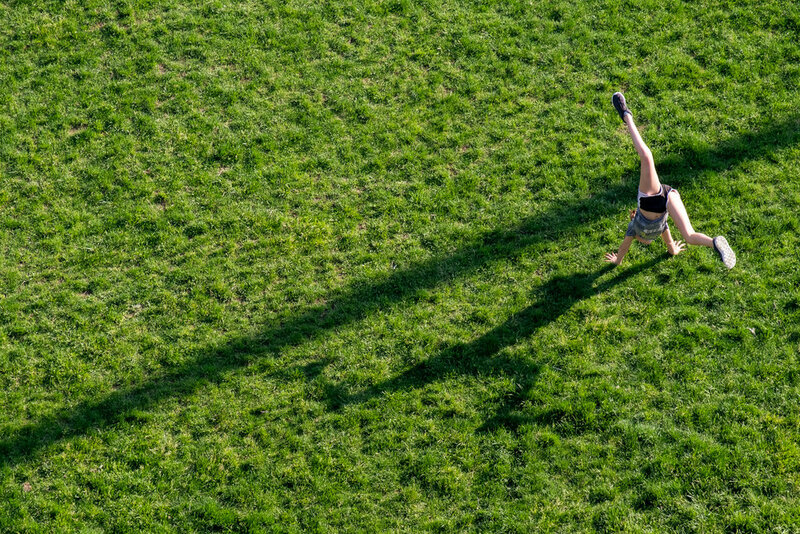 This was looking down over Brooklyn Bridge Park in DUMBO. This one is from the Chinatown side of the Manhattan Bridge. I love the way the sunlight catching her shopping bags made them glow like lanterns. “The city is never complete.” September 5, 2018. Greenpoint, Brooklyn. This shot and the following one were taken four months apart, but have the same soul. I like their messiness. I think these are the kinds of skyline shots you start to take when you’ve taken all of the pretty skyline shots. Earlier this year, I got a copy of Stephen Shore’s Uncommon Places, and visited his exhibition at MOMA. This composition was heavily influenced by that work. I love the detail of the lone skateboarder. “Verrazano Bridge” June 17, 2018. South Beach, Staten Island. Staten Island has incredible beaches. Who knew? It’s so hard to get out of bed at 4:30am for sunrise photography. But it’s (almost) always worth it. 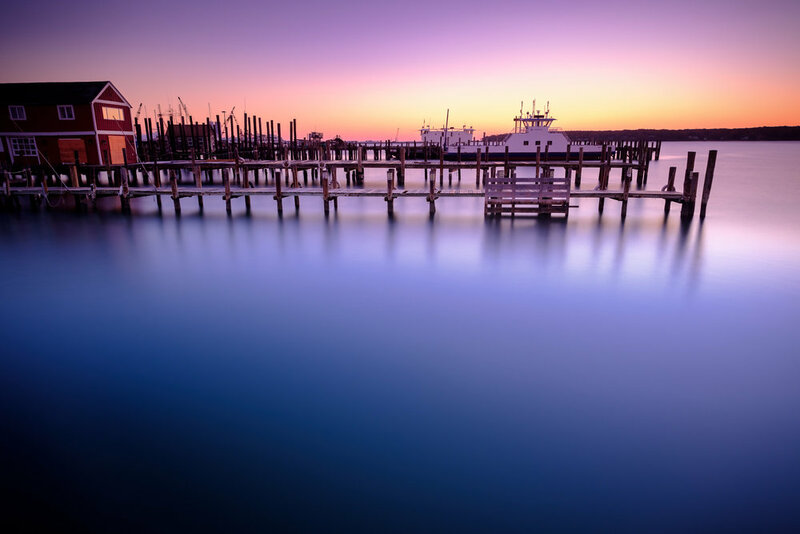 This minute and a half exposure was taken from the docks at Greenport Harbor on the North Fork of Long Island. The windows of Barba Bianca are boarded up due to massive flooding along the waterfront just a few days earlier. There’s usually a whole city skyline in this shot. But on this morning, the fog was so thick, it created a white seamless backdrop behind the Brooklyn Bridge. More wild weather, this time during my morning commute aboard the NYC Ferry. The low fog combined with mist on the water to make a fog sandwich. 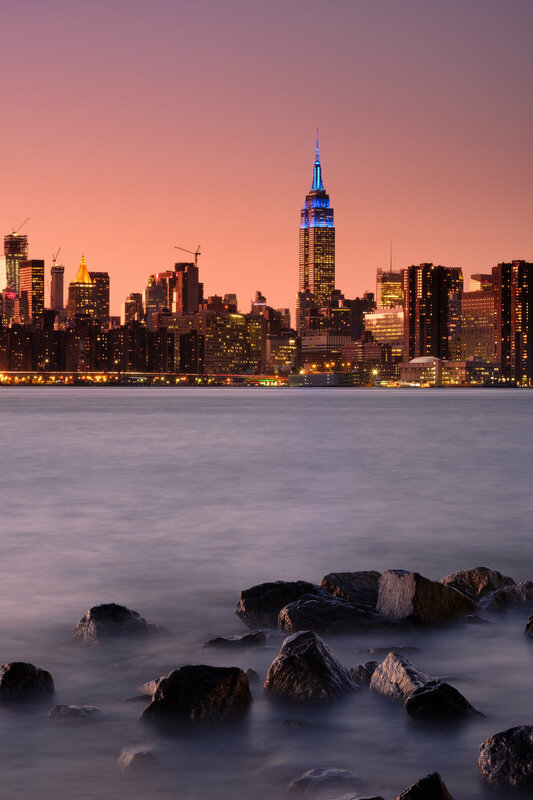 This four minute long exposure was long enough to give the clouds over New York an epic motion blur. The semi-circle at the top of the frame was a happy accident - it’s caused by the rim of my lens reflecting back in the ND filter that I added to the front of my camera for the long exposure. Thanks for reading! And if you want to see more, you can check out 2017’s Year in Review, 2016's Year in Review, 2105's Year in Review, or 2014's Year in Review. Or follow me on Flickr or Instagram.